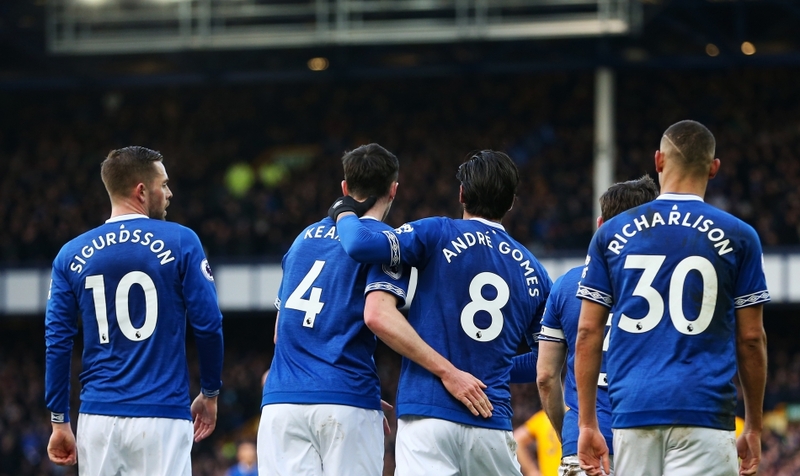 PREMIER LEAGUE WEDNESDAY: We preview Wednesday’s Premier League game between EVERTON v MAN CITY with extended stats and a BETDAQ recommended bet. 8pm It’s great to have some midweek Premier League action Manchester City will be looking to pile the pressure on Liverpool after they draw only draw with West Ham on Monday night. A win here would put City level on points at the top, although Liverpool would have a game in hand. You could say that Everton are somewhat of a “bogey” team for City as they haven’t done a league double since 2013/14 – however a win for City here would end that run. Everton are in poor form too coming into this clash and it’s fair to say that the markets can’t see past a City win. Pep Guardiola’s men are massive odds on favourites with the match odds at the time of writing currently trading; Everton 10.0, Manchester City 1.36 and the draw is 5.9. The games are coming up thick and fast for City; they had Arsenal at home last weekend and they have to play Chelsea next weekend too. Perhaps we might see some changes to the starting XI from Guardiola here? They can’t afford to lose any more ground on Liverpool though. You have to say that City are too short for backing here at 1.36 – especially considering that they have lost three of their last five Premier League away games – their biggest blip in quite some time looking at the stats. The thing is though, we just don’t fancy Everton – they haven’t got solid form at home either so there isn’t much to support a shock here. Indeed everything points to a comfy City win despite their recent troubles. With Everton struggling at home and shipping three goals against Wolves and also Millwall recently we’re going to take a chance and back Any Other Away Win (City to score four or more and win) at 4.3 in the Correct Score market. An early goal could see a floodgate open and Guardiola has an excellent head-to-head record against Silva – winning all four meetings by an aggregate score of 15-3. Any Other Away Win at 4.3.